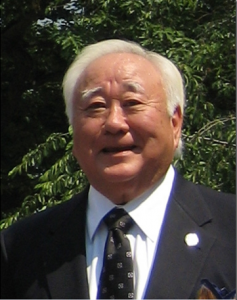 WASHINGTON — Gerald Yamada, president of the Japanese American Veterans Association, issued the following statement on Monday. On behalf of the Japanese American Veterans Association (JAVA), which serves the interests of 360,000 Asia Pacific American veterans, I urge the U.S. Congress to pass the budget bill to end the government shutdown. The dire consequences of the shutdown are beginning to be felt by veterans across the land. JAVA also urges Congress to increase the debt limit so that payments to veterans can continue. JAVA supports Secretary of Veterans Affairs Eric Shinseki’s testimony before the House Veterans Affairs Committee last week about the impact of the shutdown to veterans. Shinseki told Congress that on Nov. 1, the department will not be able to pay all of the approximately 3.8 million beneficiaries who are expecting checks. The shutdown also impacts the 435,000 veterans in the VA’s disability claims backlog who now will have to wait longer for their applications to be dealt with because the agency has stopped paying overtime to processors who were trying to cut the backlog.